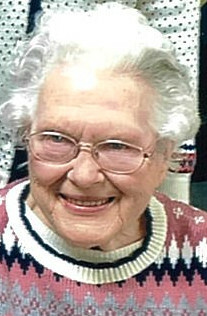 Edith Racheal Russell, 90, of Milan passed away Saturday, March 16, 2019 at Manderley Health Care Center in Osgood. Edith was born Saturday, December 8, 1928 in Dearborn County, Indiana the daughter of Harry and Ruth (Harper) Fondong. She married William Russell on May 3, 1947 and he preceded her in death February 15, 1991. Edith worked in health care and was a member of Washington Baptist Church. She enjoyed reading, baking angel food cakes, visiting folks and fellowship with family and friends. Edith is survived by 6 children: Donna (Ron) Benning, Ruth (Steve) Vint, Georgiann (Walter) Peace, Rev. William (Jan) Russell, Richard (Jacqueline) Russell and Allen (Donna) Russell, 23 grandchildren and spouses, 42 great grandchildren and spouses, 3 great-great grandchildren, (more on the way), 4 nieces and 1 nephew plus their families; She was preceded in death by her husband, parents, 3 grandchildren, 2 sisters, 1 brother and 1 niece. A service celebrating her life will be held 11 AM Friday, March 22, 2019 at Washington Baptist Church, 5496 US-50, Dillsboro, (Elrod) IN 47018, with Pastor Bruce Fitzsimmons officiating. Burial will follow in Washington Cemetery. Family and friends may gather to share and remember her 9 - 11 AM Friday, March 22 also at the church. Memorials may be given in honor of Edith to Our Hospice of South Central Indiana. Laws-Carr-Moore Funeral Home entrusted with arrangements, Box 243, Milan, IN 47031, (812)654-2141. You may go to www.lawscarrmoore.com to leave an online condolence message for the family.